I came across the creature shown in the photo below yesterday evening while walking the dogs. At first, I thought it was an earthworm, but a flashlight revealed it to be something I had never seen before. It is approximately 12 inches (300 mm) in length and about 1/3 of an inch (10 mm) in diameter at its maximum. It is pitch black and very shiny—like piano black. It moves very slowly, using a snake-like motion. It had a very strange head, like a hammerhead shark. I live in Durban, South Africa, if that helps to narrow down the possibilities. Can anyone help in identifying this creature? 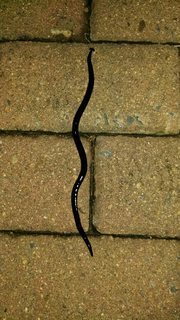 Hmm, I don't believe I have ever seen that before, but it looks like a Hammerhead Worm (Bipalium kewense). That looks like a predatory land flatworm. They eat snails and worms. I think they are native to New Zealand, but have been introduced to many parts of the US through ornamental plants. What is this stick-like creature? What is this strange worm-like creature? 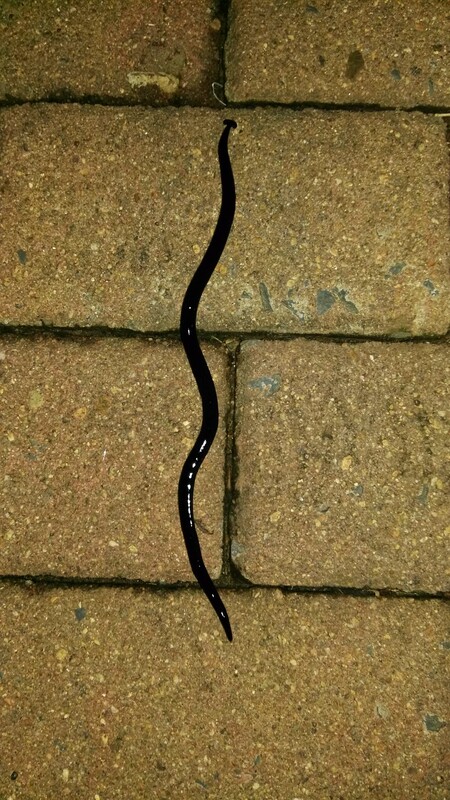 What is this worm-like creature?